How does an efficient IKEA kitchen design helps to avoid or reduce clutter? You don’t need to live with a cluttered kitchen countertop. The solution is indeed simpler than you think. Decluttering is an activity that takes time, thought and energy. You’ll need every scrap of space and all your mental marbles for this activity, so begin with a clear deck and the tools you’ll use to do the job. There is something entirely refreshing and life-giving about a clean, uncluttered kitchen counter. Who enjoys cooking in a cluttered kitchen? A simple change with a new, carefully-planned IKEA kitchen design is all it takes. The goal was to add more kitchen space and to improve cooking efficiency. Additional storage space – especially for containers, baking utensils and small appliances was needed. 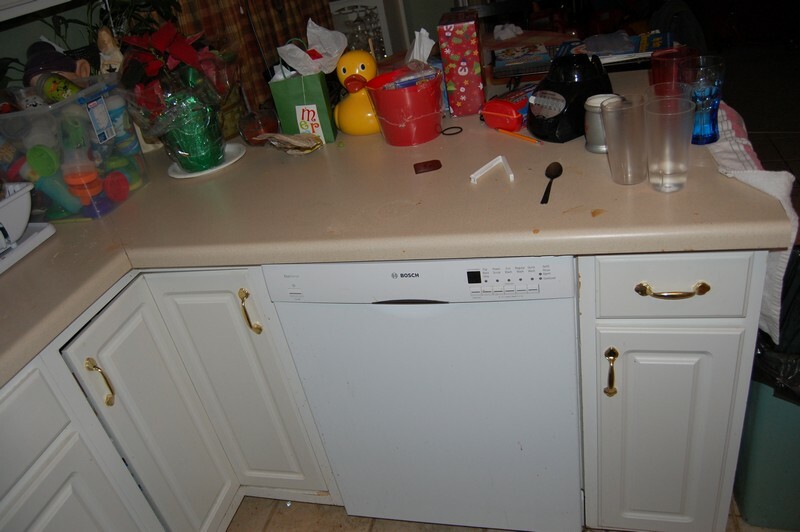 The biggest challenge was to make the changes while leaving appliances in the same position. 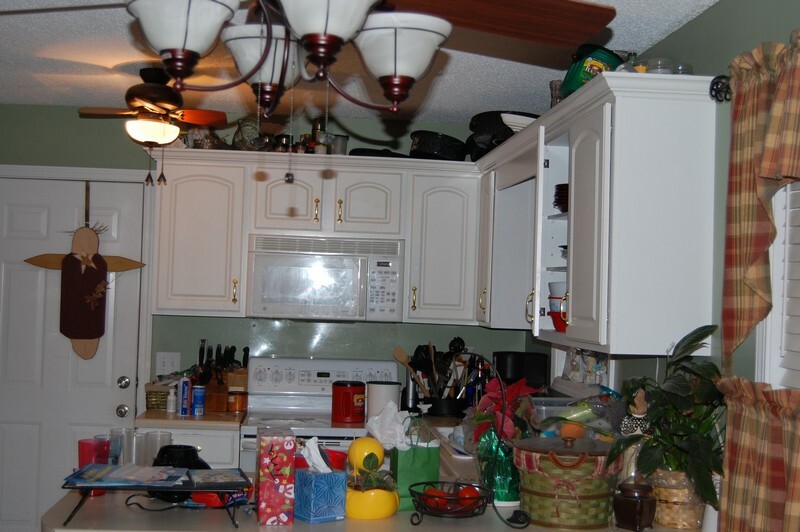 By including organizers within the kitchen’s footprint, it’s easier to avoid clutter. 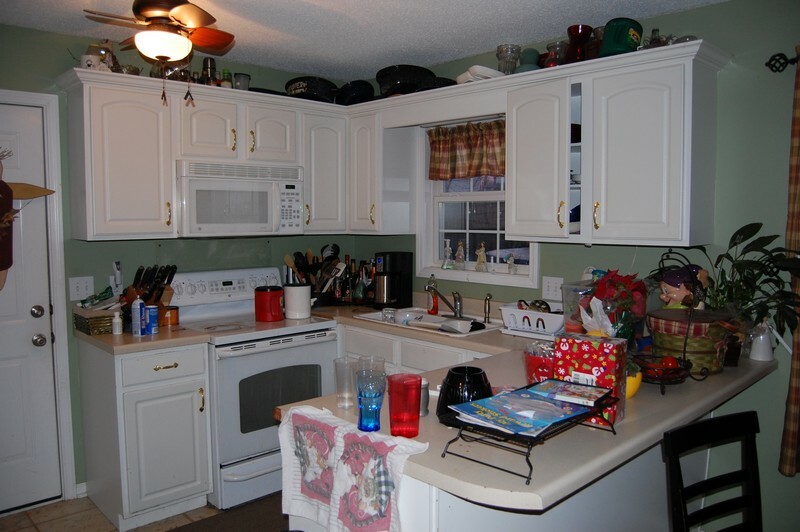 This kitchen has now a more updated look while keeping a traditional style. 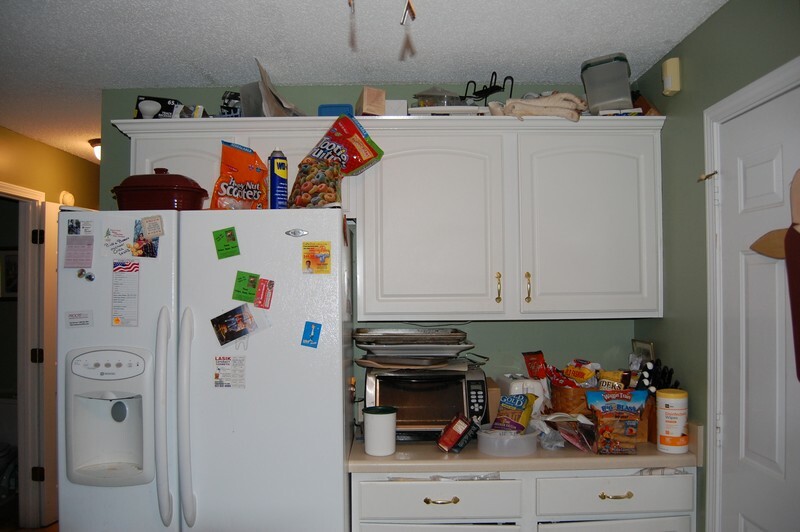 Finally, tall cabinets with wire baskets and pullouts were incorporated to the refrigerator wall for more storage space.